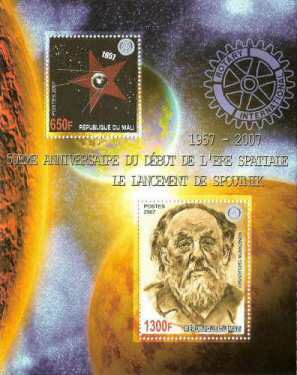 Mali issued a minisheet of two stamps on 2007/02/14. 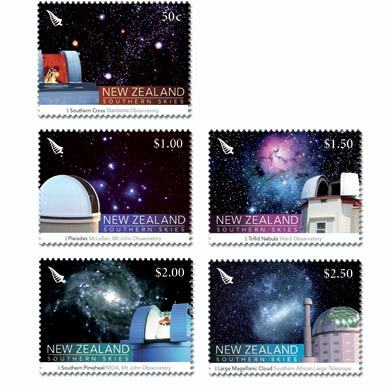 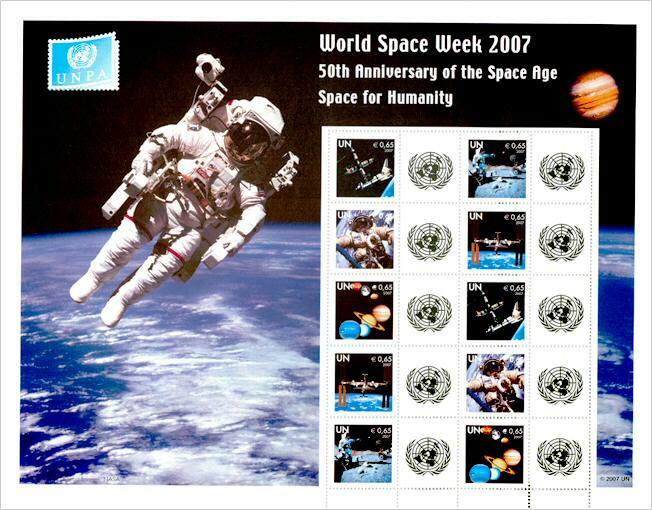 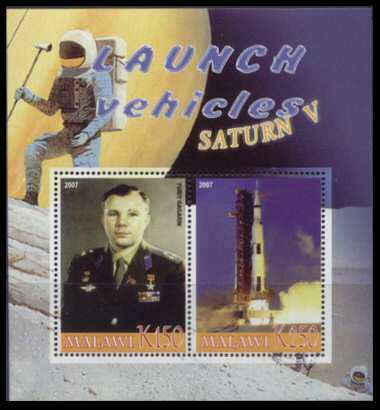 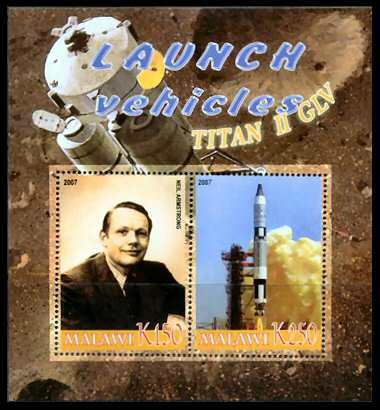 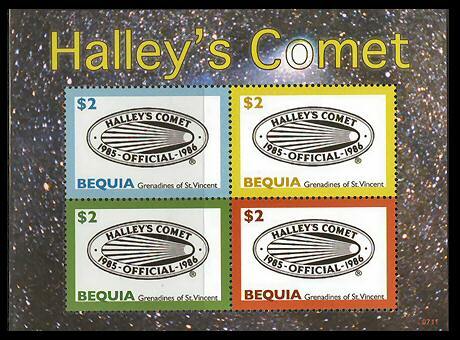 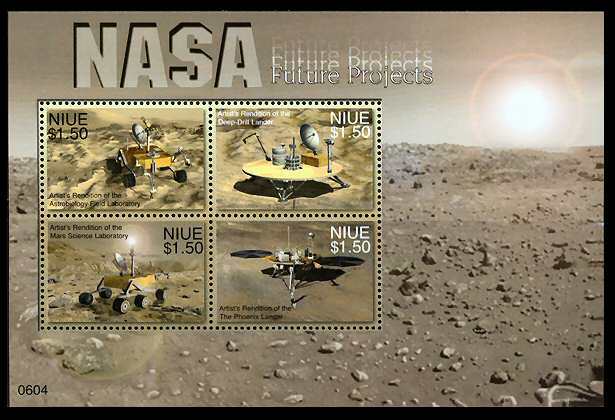 One stamp featured Neil Armstrong and the minisheet shows an astronaut on the moon and the Apollo 11 mission emblem. 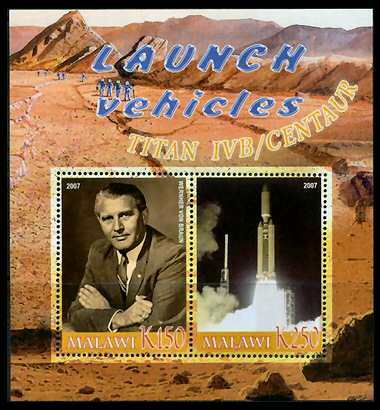 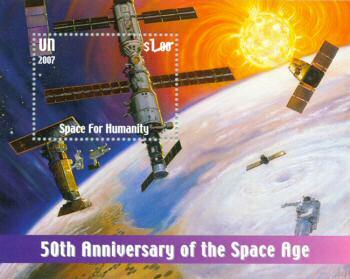 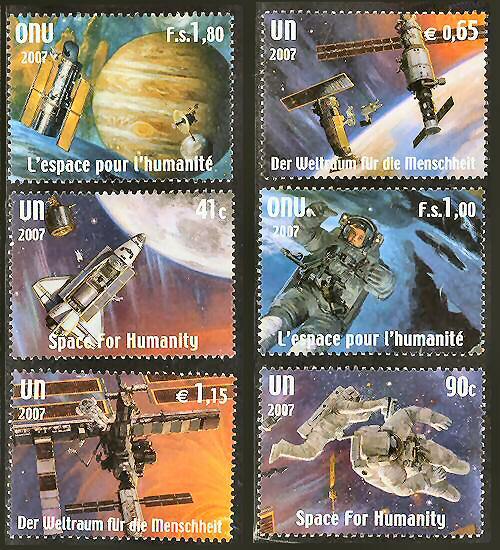 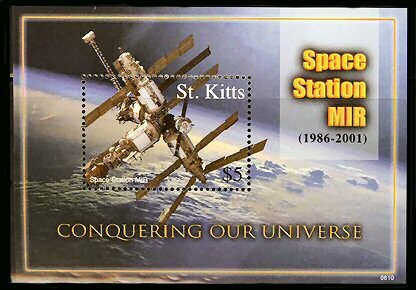 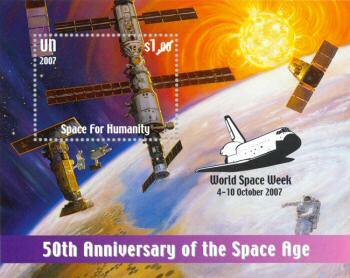 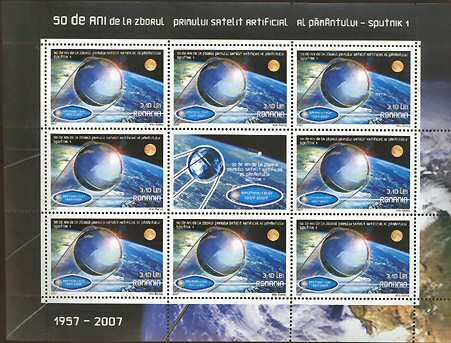 On the same day, Mali also issued two minisheets, each containing two stamps for the 50th anniversary of Sputnik 1. 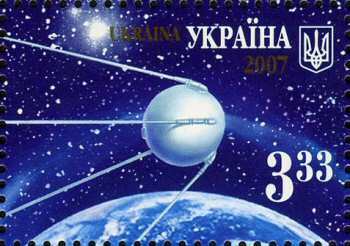 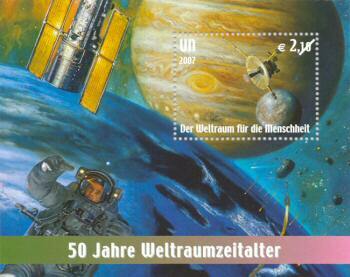 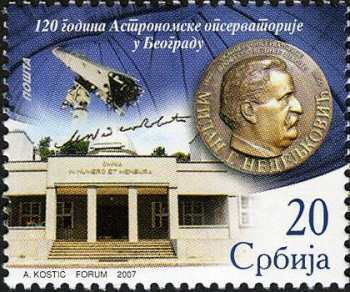 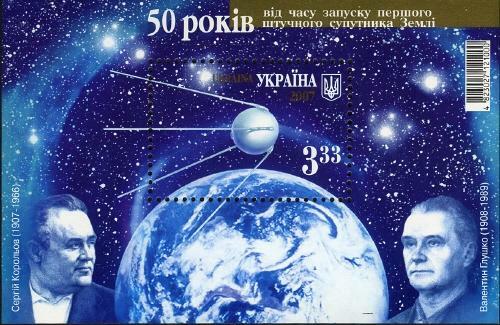 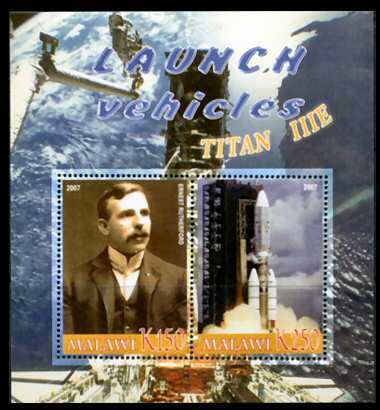 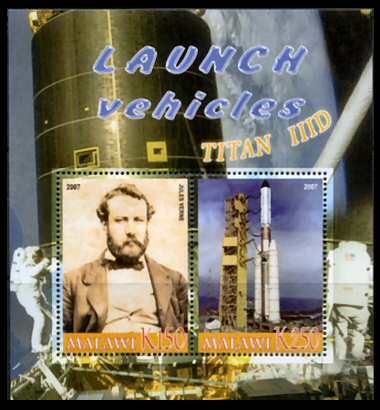 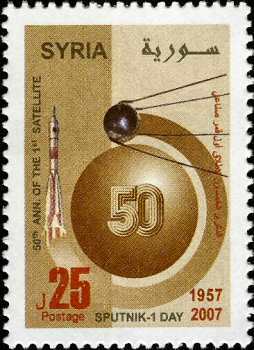 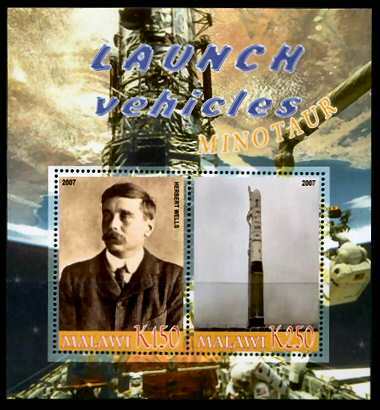 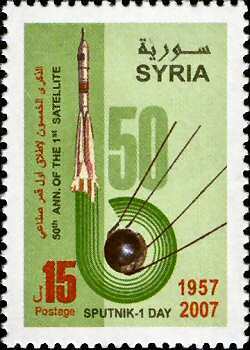 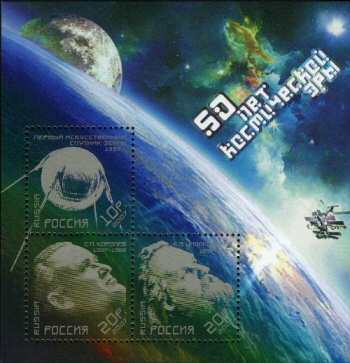 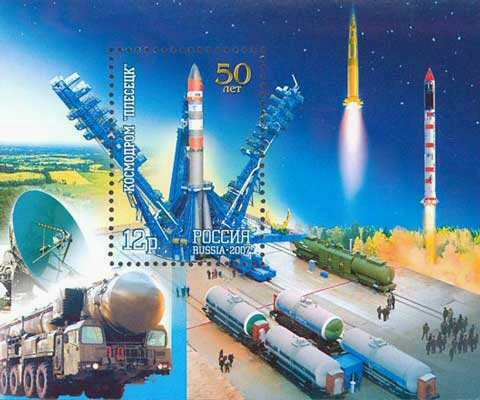 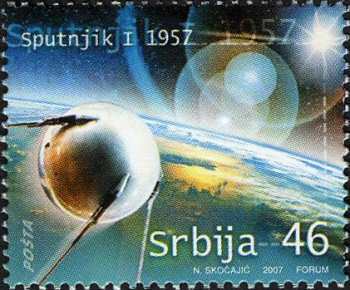 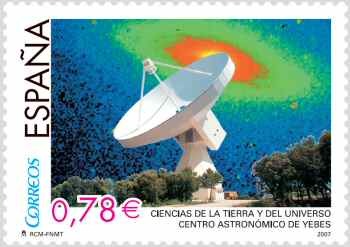 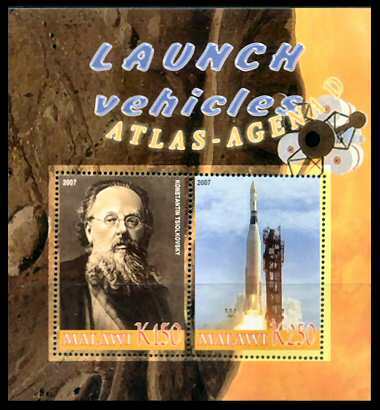 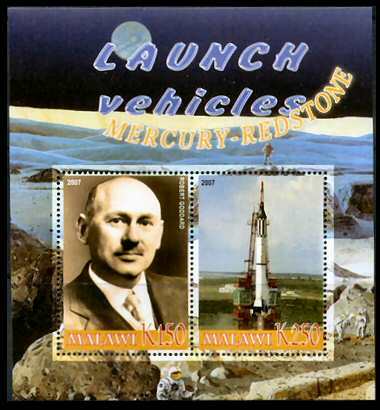 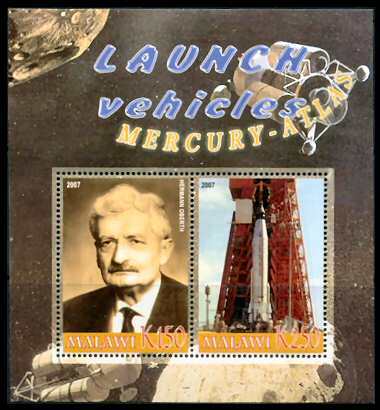 One featured Sputnik 1 on one stamp and Tsiolkovski on the other (see below). 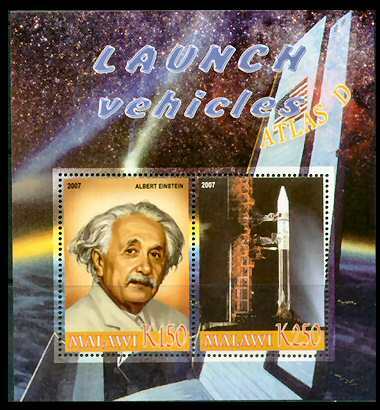 The second featured Albert Einstein & Concorde. 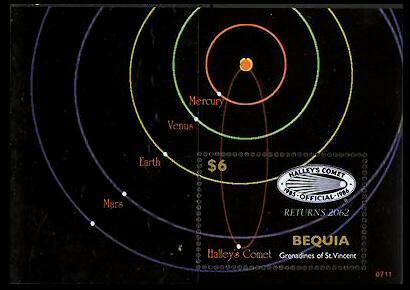 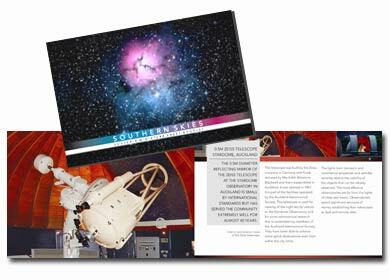 Both minisheets show Space scenes. 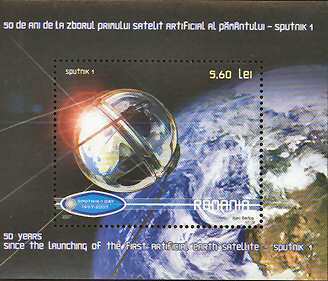 Mozambique issued a sheetlet of nine stamps for 10th anniversary of death of Princess Diana which includes the British Satellite Skynet in the upper left corner. 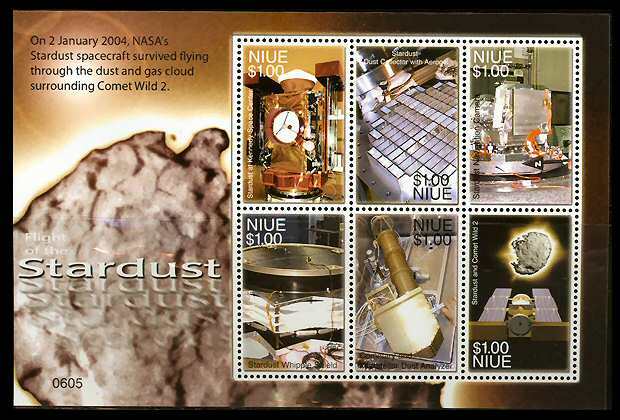 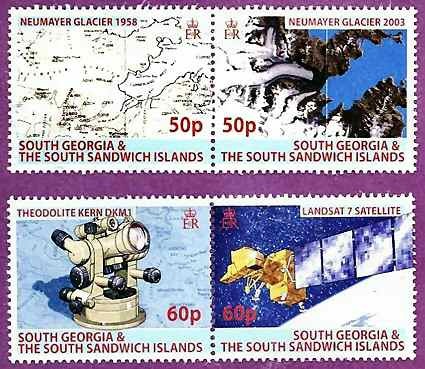 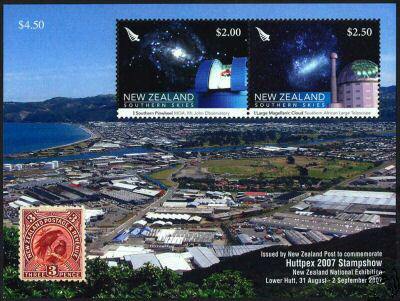 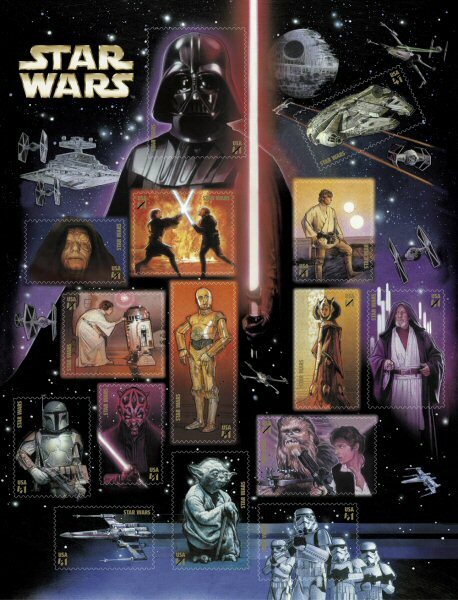 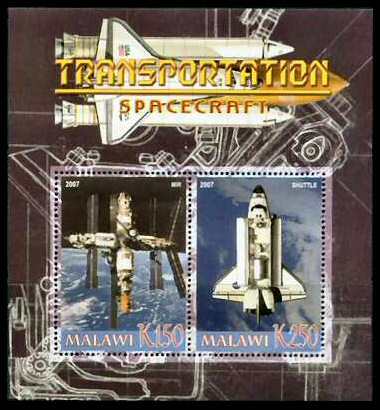 Also the middle stamp shows Princess Diana with Skynet in the background. 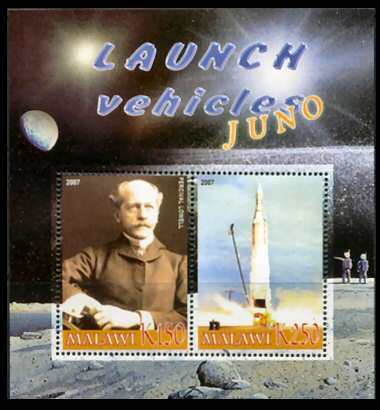 On 2007/05/16 Mozambique also issued a minisheet containing one stamp celebrating French Presidents. 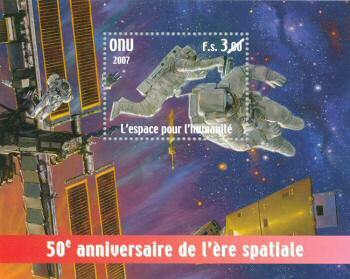 The minisheet showed two French satellites, Aura and Arcad 3. 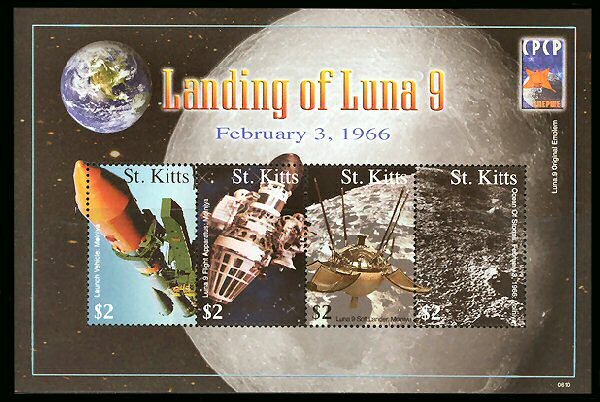 On 2007/02/02 Saint Thomas & Prince issued a minisheet for the anniversary of J. F. Kennedy. 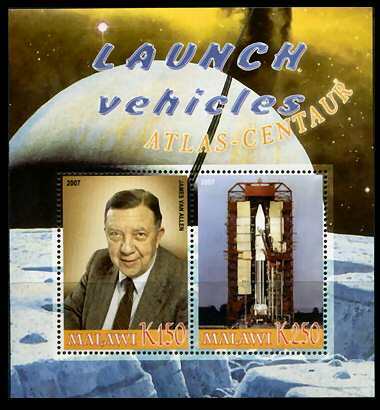 The minisheet included Neil Armstrong and the Shuttle. 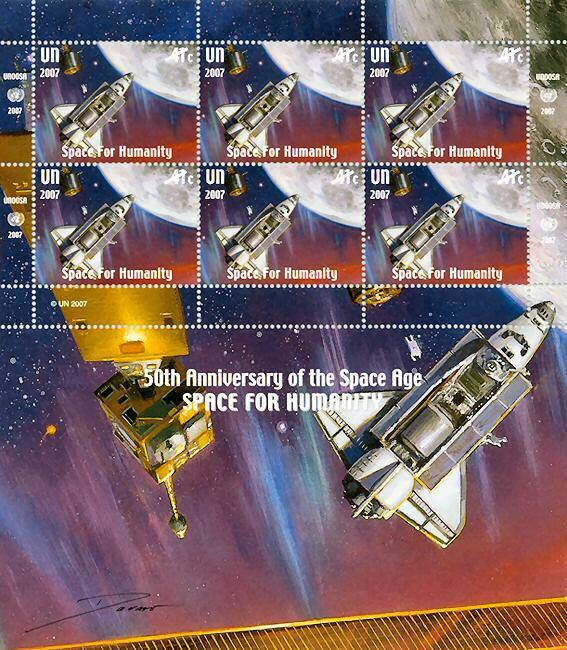 It contains one stamp showing Kennedy.